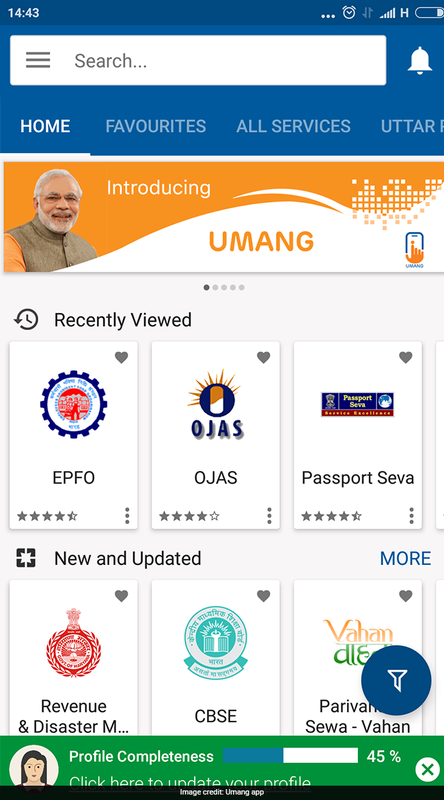 Mobile app Umang, the one-stop solution to access many government services, provides multiple facilities for subscribers of the Employees’ Provident Fund Organisation (EPFO). Umang helps EPFO subscribers access all services of the retirement fund body from this app. The app makes it easy and convenient to access EPFO services, Umang tweeted from its official Twitter handle. Umang is currently available on Google, Apple and Windows platforms, it noted. Besides, the Umang app provides seamless integration with popular customer centric services like Aadhaar and Digilocker. 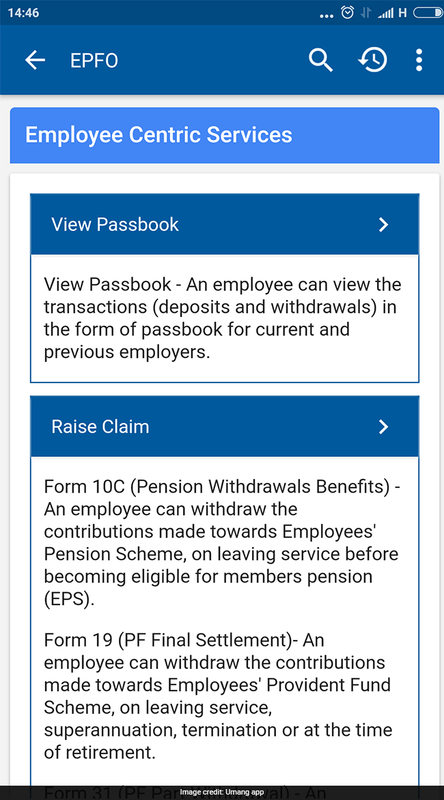 Subscribers can raise provident fund (PF) claims via Umang app. Members can view their passbook and also initiate an enquiry about their PF balance via Umang app. Subscribers can track their PF claim via Umang app. EPFO members can get access to remittance details by using an establishment ID via Umang app. 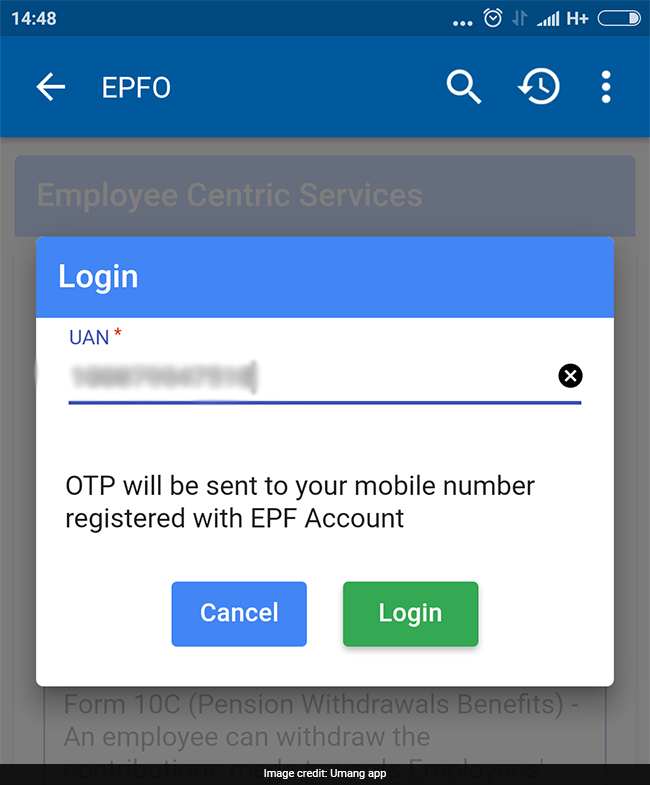 Users can search for EPFO offices via Umang app. Subscribers can know the status of their PF claim via Umang app. EPFO members can search for establishment via Umang app. Umang app also helps subscribers seed their Aadhaar card number against their UAN, which stands for Universal Account Number to be allotted by EPFO. The UAN acts as an umbrella for the multiple member Ids allotted to an individual by different establishments. Open Umang app and click on EPFO. 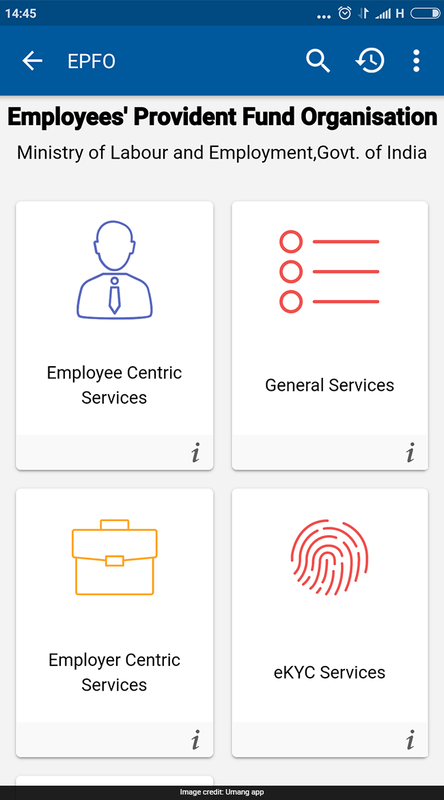 You will be directed to a page which shows employee centric services, general services, employer centric services, eKYC servcies, and Jeevan Praman. Click on ’employee centric services’. You will be directed to a page that allows you to view passbook, raise claim and track claim. Click on ‘view passbook’ and type put your UAN. Log in and input the one time password (OTP) that you will receive on your registered mobile number. The OTP is valid for 30 minutes. After inputting the OTP, you will be able to see your PF passbook.